On September 28, Frank Hanna gave his talk entitled “Defending the Faith, Defending the Word of God”, relating how he established the Mater Verbi/Hanna Papyrus Trust, which sought to acquire for the Vatican sections 14 and 15 of the Bodmer Papyrus from the Martin Bodmer Foundation. The Bodmer Papyrus is a set of papyri which were discovered in 1952 at Pabau, Egypt. Dating back to A.D. 175, the papyri contain the oldest copy of the Gospel of Luke—and the oldest copy of the Lord’s Prayer—in the world. 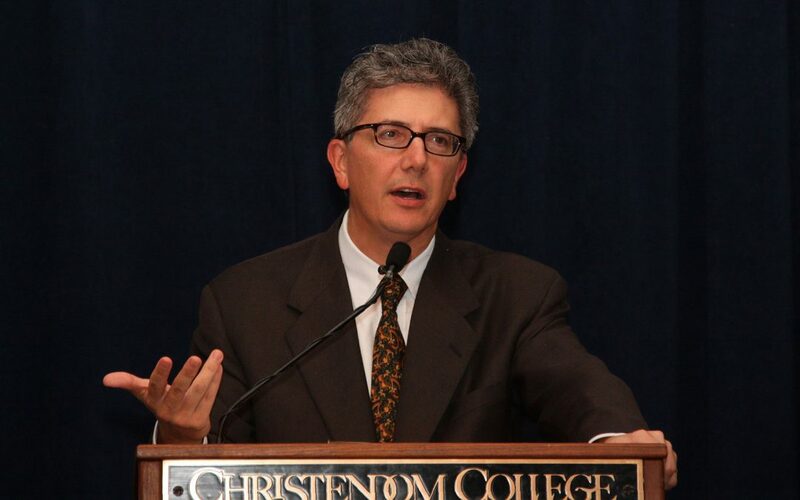 Hanna, CEO of Hanna Capital in Atlanta, Ga., and author of the best seller What Your Money Means, told students that his efforts to acquire the papyri for the Vatican were the beginning of “a defense of the Faith” for him.